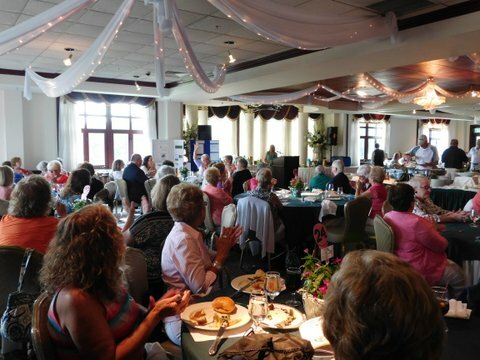 The Woman’s Club of Parsippany-Troy Hills (WCPTH) celebrated its 35th Annual Tee Off for Education Golf Classic and Luncheon Fundraiser on Tuesday, July 12th with record attendance. More than 90 golfers and 90 other guests from both the community and area Women’s Clubs were at the Knoll Country Club West in Parsippany. It was a glorious morning of golf, socializing and games. In the afternoon all enjoyed lunch and bidding on a wonderful array of Tricky Tray items and a 50/50 raffle. 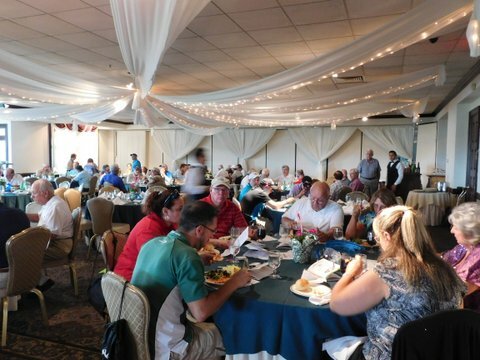 Event Chairman Lois Preis White and all club members were pleased with the outcome, which will allow WCPTH to give scholarships to students at both Parsippany High Schools and to a woman from the NJ Battered Women’s Service. The annual golf classic also provides funds for 8th Grade Citizenship Awards and for 5th reading Awards given to students in Parsippany Elementary schools. 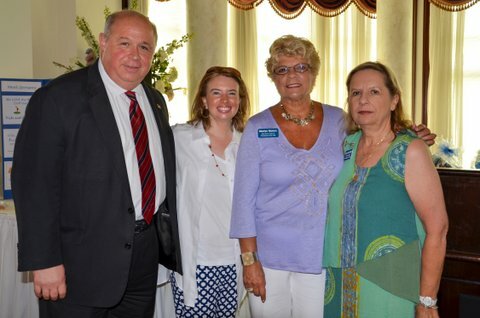 Mayor James Barbario, Congresswoman Loretta Gragnani and Congressman Michael dePierro were in attendance along with a number of officers and club members from various Women’s Clubs of the New Jersey State Federation of Women’s Clubs. The club would like to thank all of their very generous sponsors and donors for their contributions to the success of the Golf Classic. It is very gratifying when community organizations, such as Parsippany Troy Hills Fire Department District 6 pitch in to help one another. Please mark July 11, 2017 on your calendar for the Club’s 36th Annual Tee Off for Education Golf Classic and Luncheon Fundraiser. 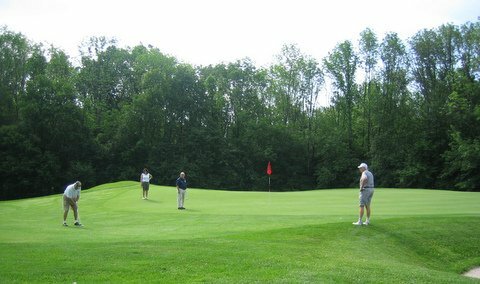 Contact Lois at 973-887-6627 or WCPTH, Golf Outing, P.O. Box 98, Parsippany, NJ 07054 for more information. The Woman’s Club of Parsippany-Troy Hills is a member of the New Jersey State Federation of Women’s Clubs of GFWC (NJSFWC), which is the largest volunteer women’s service organization in the state, providing opportunities for education, leadership training, and community service. The General Meeting is Monday, September 26. For more information call Cathy at 973-984-0758, e-mail the club at womansclubofpth@gmail.com or check us out on the web www.parsippanywomansclub.org . Mayor James Barbario, WCPTH club member Cathy Cerbo , WCPTH President Marilyn Marion, and Tee Off For Education Golf Classic Chairman Lois Preis White. 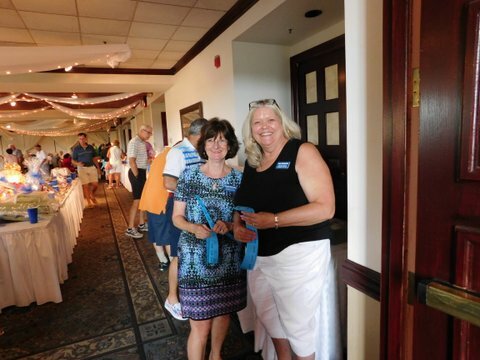 Club members Claudia McCarthy and Joan Garbarino were in charge of selling Tricky Tray tickets. Everyone was busy at the same time checking their Tricky Tray tickets and eating lunch. The luncheon was enjoyed by all. Tricky Tray items included Baskets of Cheer, Yankee tickets, restaurant gift cards, show tickets and much more. Women from several area Women’s Clubs enjoyed a morning of games and socializing before the luncheon. 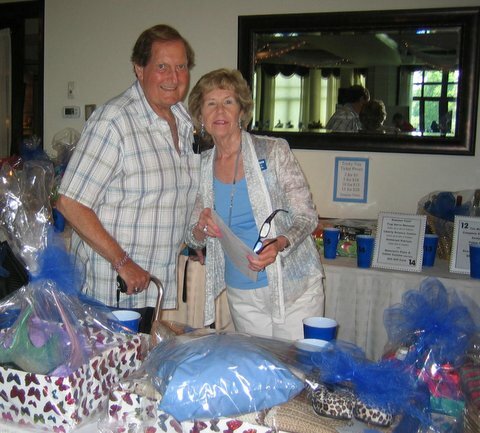 Club member MaryAnn Coyne and husband Bill looking at some of the 63 fabulous Tricky Tray items. 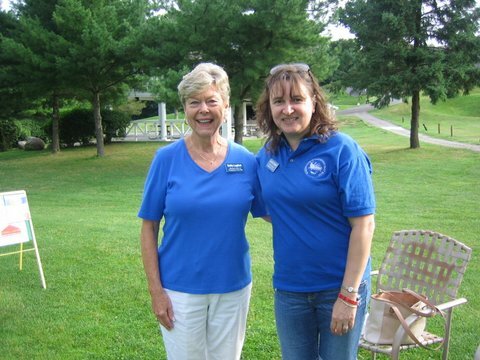 WCPTH club members Betty Lagitch and Jennifer Seeber out on the course.